Explore, experience and embrace the magic that is the Great Ocean Road! The spectacular Great Ocean Road is one of the world’s most beautiful and naturally maintained secrets! Experience and enjoy the breathtaking coastline. 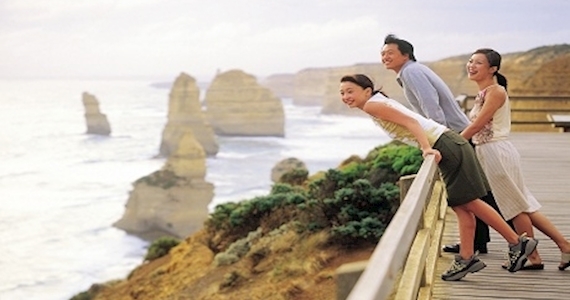 Our Great Ocean Road Tour provides a day experience you will never forget! For just one day come and see the famous surf beaches and spectacular wildlife before stopping for light Aussie BBQ lunch (included) at the iconic Cape Otway Lighthouse! After lunch, drive through the Otway rainforest, see the giant and uniquely famous rock stacks that are the 12 Apostles and see the rugged shipwreck coast of the Loch Ard Gorge and Gibsons Steps before returning to Melbourne! Wildlife stop look for koalas and native birds in the wild! Drive through the Otway rainforest boasting some of the tallest eucalyptus trees in Australia!